Shouldn't my upgrade apply to each new phone I acquire? - Frequently Asked - Alfred Center | get the most out of the best home security app! Shouldn't my upgrade apply to each new phone I acquire? We received an email from our Superhero D.B. who wants to know if Alfred+ applies to all his devices. The answer is a sure YES!!! Feel free to add as many devices as you need after the upgrade. They’ll all be ad-free. 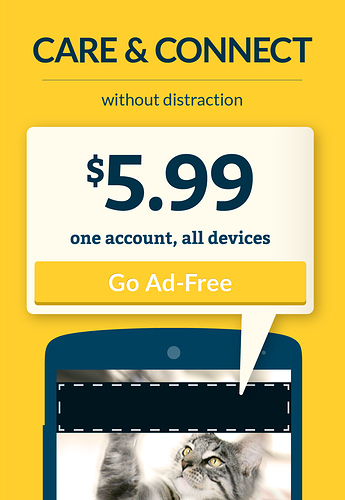 Please allow me to broadcast this important message again: Alfred+ removes ads from all of your advice under the same account at $5.99.